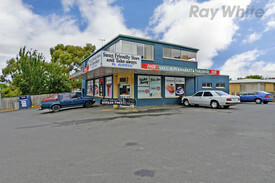 28 Commercial Properties in Tas are listed in 6 categories. We have 19 Offices for Sale & Lease , 5 Hotels and Leisure for Sale & Lease , 1 Other Commercial Properties for Sale & Lease , 1 Development Lands for Sale & Lease , 1 Commercial Farms for Sale & Lease and 1 Retail Shops for Sale & Lease . Enjoyable Working Environment | Professional Space | Fitted And Furnished $403pw | 1 Person Workspa..
PROPERTY OVERVIEW $403pw Price incl. A Grade serviced office in prime Hobart location: Price includes: Internet, Telephone, Electricity, kitchen Flexi terms "A" grade building Immaculate fit out Prestigious address Regular Cleaning 24/7 access Central Hobart CBD location Avail NOW for long or short term rent. The heritage listed Reserve Bank Building is a premier office tower nestled in the heart of Hobart's Central Business District. Featuring Iconic bronze statues of seals and penguins at the front entrance, the building is just minutes to public transport and entertainment. There are high speed lifts on site and fabulous views across to Salamanca bay. The advertised office space is perfect for a team of 1. If you need more or less space, we have over 30,000 furnished workspaces all over the world suitable for a team of 1 to 200+. Our award winning team offer a free service that will help you find the perfect solution for your needs, so reach out if you need more help. What you get for your weekly rent Furnished office with desks, chairs and lock up storage units Commercial grade internet service Telephone line and personalised phone answering Use of kitchen facilities with premium coffee/tea service Electricity usage included Complimentary receptionist to meet and greet your clients Prestigious business address Flexible terms from 1 month to long term Ability to bring your existing phone number over Business lounge with complimentary break out areas 24 x 7 Access to your office 24 x 7 security Office features Immaculate fit out and facilities Full mail management and postage Large boardroom and meeting rooms Signage board in foyer to highlight your business name Professional environment Server / Comms rooms available for server storage Building features Modern high rise classified as an "A" grade building 24 x 7 access to your office High speed lifts Car parking in building and surrounding areas Dedicated on site management team The advertised price includes building outgoings and is based on one person occupying the workspace. If you have 2 or more people extra fees will apply to cover off services like telephone, internet and kitchen amenities. 100m to Macquarie Street Bus Stop 200m to Franklin Wharf 50m to Gym, Pub and Shopping Centre 30m to Franklin Square Ideal location, with everything close by! WHO IS OFFICE HUB? Office Hub is Australia & New Zealands No 1 small office space commercial real estate agency. We have the largest collection of shared spaces, coworking and serviced offices in Australia & New Zealand, perfect for 1 200 employees. Let us take you on a tour of all the spaces that fit your needs and budget. Our service is complimentary and we work for you and the landlord to negotiate the most competitive deal in the market. Let us show you how shared and serviced offices can be the perfect solution for your business. www.office hub.com.au www.office hub.co.nz Conditions apply A portion of the square meterage factors in access to shared space. Price includes any incentives offered. This is for new tenants only. Central Location | Reception Services | Great Onsite Facilities $284pw | 2 Person Workspa..
PROPERTY OVERVIEW $284pw Price incl. This serviced office houses corporate clients from start ups and sole traders to large corporates in an environment of natural light, modern fit out and dedicated business support. Enjoy inclusions of electricity, internet, phone & building outgoings on flexi terms to reduce costs and get the flexibility to grow and expand through this centre and 150 sister locations worldwide. Great views & receptionists – available NOW for short or long term. Macquarie Street runs through the heart of Hobart CBD and this serviced office allows excellent proximity to major attractions and amenities such as Elizabeth Street Mall, the Tasmanian Museum and Art Gallery and the Royal Hobart Hospital. This good quality B grade high rise is close to many cafes, restaurants, bars, hotels and gyms – so many great reasons to stick the out of office on and get out to explore the city! The advertised office space is perfect for a team of 2. If you need more or less space, we have over 30,000 furnished workspaces all over the world suitable for a team of 1 to 200+. Our award winning team offer a free service that will help you find the perfect solution for your needs, so reach out if you need more help. What you get for your weekly rent Furnished office with desks, chairs and filing storage Electricity usage included Commercial grade internet Regular cleaning Fair use of meeting rooms and boardrooms Access to shared kitchen facilities IT support available Complimentary receptionist to meet and greet your clients Telephone line and personalised phone answering Prestigious business address to put on your cards 24 x 7 access to your office 24 x 7 security Office features 24 x 7 air conditioning in all offices New refurbished building fit out Immaculate fit out and facilities Company signage in the lobby Photocopying facilities available Full mail management and postage 150m to Hobart's waterfront 200m to Elizabeth Street Mall 300m to bus stops 2 minute walk to Tasmanian Museum and Art Gallery WHO IS OFFICE HUB? Office Hub is Australia & New Zealands No 1 small office space commercial real estate agency. We have the largest collection of shared spaces, coworking and serviced offices in Australia & New Zealand, perfect for 1 200 employees. Let us take you on a tour of all the spaces that fit your needs and budget. Our service is complimentary and we work for you and the landlord to negotiate the most competitive deal in the market. Let us show you how shared and serviced offices can be the perfect solution for your business. www.office hub.com.au www.office hub.co.nz Conditions apply A portion of the square meterage factors in access to shared space. Price includes any incentives offered. This is for new tenants only. Abundance Of Natural Light | Food Courts And Shops Nearby | Spectacular Views $759pw | 5 Person Workspa..
PROPERTY OVERVIEW $759pw Price incl. This serviced office houses corporate clients from start ups and sole traders to large corporates in an environment of natural light, modern fit out and dedicated business support. Enjoy inclusions of electricity, internet, phone & building outgoings on flexi terms to reduce costs and get the flexibility to grow and expand through this centre and 150 sister locations worldwide. Great views & receptionists – available NOW for short or long term. Macquarie Street runs through the heart of Hobart CBD and this serviced office allows excellent proximity to major attractions and amenities such as Elizabeth Street Mall, the Tasmanian Museum and Art Gallery and the Royal Hobart Hospital. This good quality B grade high rise is close to many cafes, restaurants, bars, hotels and gyms – so many great reasons to stick the out of office on and get out to explore the city! The advertised office space is perfect for a team of 5. If you need more or less space, we have over 30,000 furnished workspaces all over the world suitable for a team of 1 to 200+. Our award winning team offer a free service that will help you find the perfect solution for your needs, so reach out if you need more help. What you get for your weekly rent Furnished office with desks, chairs and filing storage Electricity usage included Commercial grade internet Regular cleaning Fair use of meeting rooms and boardrooms Access to shared kitchen facilities IT support available Complimentary receptionist to meet and greet your clients Telephone line and personalised phone answering Prestigious business address to put on your cards 24 x 7 access to your office 24 x 7 security Office features 24 x 7 air conditioning in all offices New refurbished building fit out Immaculate fit out and facilities Company signage in the lobby Photocopying facilities available Full mail management and postage 150m to Hobart's waterfront 200m to Elizabeth Street Mall 300m to bus stops 2 minute walk to Tasmanian Museum and Art Gallery Who is Office Hub? Office Hub is the world\'s No.1 marketplace for office space. We have a huge global selection of coworking spaces, serviced offices and shared office spaces with flexible options to suit teams from 1 200 people. We\'ll take you on a tour of all the workspaces that fit your needs and work on your behalf to get the best price possible. We\'ll help you discover how shared office space can be the most beneficial and budget friendly solution for your business. www.office hub.com Conditions apply – the advertised price includes any incentives offered based on a 12 month agreement and is available to new tenants only. Please note that the rental rate may increase for a shorter rental period. A portion of the square meterage factors in access to shared space. Mailing And Telephone Support | Enjoyable Working Environment | Malls Nearby $304pw | 1 Person Workspa..
PROPERTY OVERVIEW $304pw Price incl. This serviced office houses corporate clients from start ups and sole traders to large corporates in an environment of natural light, modern fit out and dedicated business support. Enjoy inclusions of electricity, internet, phone & building outgoings on flexi terms to reduce costs and get the flexibility to grow and expand through this centre and 150 sister locations worldwide. Great views & receptionists – available NOW for short or long term. Macquarie Street runs through the heart of Hobart CBD and this serviced office allows excellent proximity to major attractions and amenities such as Elizabeth Street Mall, the Tasmanian Museum and Art Gallery and the Royal Hobart Hospital. This good quality B grade high rise is close to many cafes, restaurants, bars, hotels and gyms – so many great reasons to stick the out of office on and get out to explore the city! The advertised office space is perfect for a team of 1. If you need more or less space, we have over 30,000 furnished workspaces all over the world suitable for a team of 1 to 200+. Our award winning team offer a free service that will help you find the perfect solution for your needs, so reach out if you need more help. What you get for your weekly rent Furnished office with desks, chairs and filing storage Electricity usage included Commercial grade internet Regular cleaning Fair use of meeting rooms and boardrooms Access to shared kitchen facilities IT support available Complimentary receptionist to meet and greet your clients Telephone line and personalised phone answering Prestigious business address to put on your cards 24 x 7 access to your office 24 x 7 security Office features 24 x 7 air conditioning in all offices New refurbished building fit out Immaculate fit out and facilities Company signage in the lobby Photocopying facilities available Full mail management and postage 150m to Hobart's waterfront 200m to Elizabeth Street Mall 300m to bus stops 2 minute walk to Tasmanian Museum and Art Gallery WHO IS OFFICE HUB? Office Hub is Australia & New Zealands No 1 small office space commercial real estate agency. We have the largest collection of shared spaces, coworking and serviced offices in Australia & New Zealand, perfect for 1 200 employees. Let us take you on a tour of all the spaces that fit your needs and budget. Our service is complimentary and we work for you and the landlord to negotiate the most competitive deal in the market. Let us show you how shared and serviced offices can be the perfect solution for your business. www.office hub.com.au www.office hub.co.nz Conditions apply A portion of the square meterage factors in access to shared space. Price includes any incentives offered. This is for new tenants only. Convenient Location | Spacious Environment | Cafes And Shops Nearby $405pw | 3 Person Workspa..
PROPERTY OVERVIEW $405pw Price incl. This serviced office houses corporate clients from start ups and sole traders to large corporates in an environment of natural light, modern fit out and dedicated business support. Enjoy inclusions of electricity, internet, phone & building outgoings on flexi terms to reduce costs and get the flexibility to grow and expand through this centre and 150 sister locations worldwide. Great views & receptionists – available NOW for short or long term. Macquarie Street runs through the heart of Hobart CBD and this serviced office allows excellent proximity to major attractions and amenities such as Elizabeth Street Mall, the Tasmanian Museum and Art Gallery and the Royal Hobart Hospital. This good quality B grade high rise is close to many cafes, restaurants, bars, hotels and gyms – so many great reasons to stick the out of office on and get out to explore the city! The advertised work space is perfect for a team of 3. If you need more or less space we have furnished and unfurnished offices ready to go from 10sqm 200sqm all over Australia and New Zealand. What you get for your weekly rent Furnished office with desks, chairs and filing storage Electricity usage included Commercial grade internet Regular cleaning Fair use of meeting rooms and boardrooms Access to shared kitchen facilities IT support available Complimentary receptionist to meet and greet your clients Telephone line and personalised phone answering Prestigious business address to put on your cards 24 x 7 access to your office 24 x 7 security Office features 24 x 7 air conditioning in all offices New refurbished building fit out Immaculate fit out and facilities Company signage in the lobby Photocopying facilities available Full mail management and postage 150m to Hobart's waterfront 200m to Elizabeth Street Mall 300m to bus stops 2 minute walk to Tasmanian Museum and Art Gallery WHO IS OFFICE HUB? Office Hub is Australia & New Zealands No 1 small office space commercial real estate agency. We have the largest collection of shared spaces, coworking and serviced offices in Australia & New Zealand, perfect for 1 200 employees. Let us take you on a tour of all the spaces that fit your needs and budget. Our service is complimentary and we work for you and the landlord to negotiate the most competitive deal in the market. Let us show you how shared and serviced offices can be the perfect solution for your business. www.office hub.com.au www.office hub.co.nz Conditions apply A portion of the square meterage factors in access to shared space. Price includes any incentives offered. This is for new tenants only. 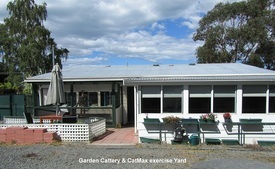 PROPERTY OVERVIEW $415pw Price incl. This serviced office houses corporate clients from start ups and sole traders to large corporates in an environment of natural light, modern fit out and dedicated business support. Enjoy inclusions of electricity, internet, phone & building outgoings on flexi terms to reduce costs and get the flexibility to grow and expand through this centre and 150 sister locations worldwide. Great views & receptionists – available NOW for short or long term. Macquarie Street runs through the heart of Hobart CBD and this serviced office allows excellent proximity to major attractions and amenities such as Elizabeth Street Mall, the Tasmanian Museum and Art Gallery and the Royal Hobart Hospital. This good quality B grade high rise is close to many cafes, restaurants, bars, hotels and gyms – so many great reasons to stick the out of office on and get out to explore the city! The advertised work space is perfect for a team of 3. If you need more or less space we have furnished and unfurnished offices ready to go from 10sqm 200sqm all over Australia and New Zealand. What you get for your weekly rent Furnished office with desks, chairs and filing storage Electricity usage included Commercial grade internet Regular cleaning Fair use of meeting rooms and boardrooms Access to shared kitchen facilities IT support available Complimentary receptionist to meet and greet your clients Telephone line and personalised phone answering Prestigious business address to put on your cards 24 x 7 access to your office 24 x 7 security Office features 24 x 7 air conditioning in all offices New refurbished building fit out Immaculate fit out and facilities Company signage in the lobby Photocopying facilities available Full mail management and postage 150m to Hobart's waterfront 200m to Elizabeth Street Mall 300m to bus stops 2 minute walk to Tasmanian Museum and Art Gallery WHO IS OFFICE HUB? Office Hub is Australia & New Zealands No 1 small office space commercial real estate agency. We have the largest collection of shared spaces, coworking and serviced offices in Australia & New Zealand, perfect for 1 200 employees. Let us take you on a tour of all the spaces that fit your needs and budget. Our service is complimentary and we work for you and the landlord to negotiate the most competitive deal in the market. Let us show you how shared and serviced offices can be the perfect solution for your business. www.office hub.com.au www.office hub.co.nz Conditions apply A portion of the square meterage factors in access to shared space. Price includes any incentives offered. This is for new tenants only. 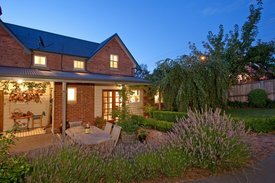 Abundance Of Natural Light | Central Location | Large Windows $644pw | 3 Person Workspa..
PROPERTY OVERVIEW $644pw Price incl. This serviced office houses corporate clients from start ups and sole traders to large corporates in an environment of natural light, modern fit out and dedicated business support. Enjoy inclusions of electricity, internet, phone & building outgoings on flexi terms to reduce costs and get the flexibility to grow and expand through this centre and 150 sister locations worldwide. Great views & receptionists – available NOW for short or long term. Macquarie Street runs through the heart of Hobart CBD and this serviced office allows excellent proximity to major attractions and amenities such as Elizabeth Street Mall, the Tasmanian Museum and Art Gallery and the Royal Hobart Hospital. This good quality B grade high rise is close to many cafes, restaurants, bars, hotels and gyms – so many great reasons to stick the out of office on and get out to explore the city! The advertised work space is perfect for a team of 3. If you need more or less space we have furnished and unfurnished offices ready to go from 10sqm 200sqm all over Australia and New Zealand. What you get for your weekly rent Furnished office with desks, chairs and filing storage Electricity usage included Commercial grade internet Regular cleaning Fair use of meeting rooms and boardrooms Access to shared kitchen facilities IT support available Complimentary receptionist to meet and greet your clients Telephone line and personalised phone answering Prestigious business address to put on your cards 24 x 7 access to your office 24 x 7 security Office features 24 x 7 air conditioning in all offices New refurbished building fit out Immaculate fit out and facilities Company signage in the lobby Photocopying facilities available Full mail management and postage 150m to Hobart's waterfront 200m to Elizabeth Street Mall 300m to bus stops 2 minute walk to Tasmanian Museum and Art Gallery WHO IS OFFICE HUB? Office Hub is Australia & New Zealands No 1 small office space commercial real estate agency. We have the largest collection of shared spaces, coworking and serviced offices in Australia & New Zealand, perfect for 1 200 employees. Let us take you on a tour of all the spaces that fit your needs and budget. Our service is complimentary and we work for you and the landlord to negotiate the most competitive deal in the market. Let us show you how shared and serviced offices can be the perfect solution for your business. www.office hub.com.au www.office hub.co.nz Conditions apply A portion of the square meterage factors in access to shared space. Price includes any incentives offered. This is for new tenants only. Coworking | Fully Furnished | Cafes And Shops Nearby $140pw | 2 Person Workspa..
PROPERTY OVERVIEW $140pw Price incl. One of Hobart’s biggest coworking offices, this workspace has both private serviced offices and hotdesking options available for lease. It features meeting rooms for hire, open plan coworking, communal breakout areas and excellent modern facilities all managed and furnished by a renowned workspace provider: a fabulous option for businesses of all sizes. Situated in the heart of Hobart CBD close to St Davids Park and the harbour with plenty of cafes, shops and restaurants around, this building is perfect for those who want to be close to the action. There is a great retail cafe with an outdoor area and the spacious workspace is spread over two levels. Parking is offered at an additional cost with on street parking also an option. The advertised office space is perfect for a team of 2. If you need more or less space, we have over 30,000 furnished workspaces all over the world suitable for a team of 1 to 200+. Our award winning team offer a free service that will help you find the perfect solution for your needs, so reach out if you need more help. What you get for your weekly rent , 24/7 Access , Building outgoings included , Collaborative space with a great community feel , Flexible terms , Fully equipped boardrooms, meeting rooms and day offices (fees may apply) , Lockable storage unit , Plug and play furnished workspace , Secure high speed Internet Building features , Abundance of natural light , Car parking in building (Paid) , Car parking Street / Public Car Park (Paid) , Company Branding at reception , Contemporary fit out , Creative co working space , Direct access to public transport , End of trip facilities e.g showers, bike racks Great location in the heart of Hobart Within easy reach of cafes, shops and restaurants Multiple bus links within 300m 140m to St Davids Park On site parking available WHO IS OFFICE HUB? Office Hub has largest collection of shared office space, sublet office space, creative coworking office space and serviced offices, perfect for 1 200 employees. Let us take you on a tour of all the spaces that fit your needs and budget. Our service is complimentary and we work for you and the landlord to negotiate the most competitive deal in the market. Let us show you how shared and serviced offices can be the perfect solution for your business. www.office hub.com.au www.office hub.co.nz Conditions apply A portion of the square meterage factors in access to shared space. The advertised price includes any incentives offered based on a 12 month agreement. If a shorter period is agreed to please note the price may increase accordingly. This promotional offer for new tenants only and may be withdrawn at any time due to space availability. Prime Location | Coworking | Dedicated Receptionist $27pw | 1 Person Workspac..
PROPERTY OVERVIEW $27pw Price incl. A Grade serviced office in prime Hobart location: Price includes: Internet, Telephone, Electricity, kitchen Flexi terms "A" grade building Immaculate fit out Prestigious address Central Hobart CBD location Avail NOW for long or short term rent. The heritage listed Reserve Bank Building is a premier office tower nestled in the heart of Hobart's Central Business District. Featuring Iconic bronze statues of seals and penguins at the front entrance, the building is just minutes to public transport and entertainment. There are high speed lifts on site and fabulous views across to Salamanca bay. The advertised office space is perfect for a team of 1. If you need more or less space, we have over 30,000 furnished workspaces all over the world suitable for a team of 1 to 200+. Our award winning team offer a free service that will help you find the perfect solution for your needs, so reach out if you need more help. What you get for your weekly rent A prestigious address for your business cards Mail and courier management services Access to boardrooms and meeting rooms worldwide Access to secretarial and IT support Signage board in foyer to highlight your business name 1 hour /day FREE use of Coworking lounges worldwide Secure high speed WiFi in Coworking lounges and private offices Electricity usage included No security deposit when you sign with credit card Book all facilities and view bills online or on our apps First month free, with no further obligation Building features Modern high rise classified as an "A" grade building Immaculate fit out and facilities 24 x 7 security High speed lifts Car parking in building and surrounding areas Dedicated on site management team Available on a pay as you go basis when you need it Non accumulative and subject to availability 100m to Macquarie Street Bus Stop 200m to Franklin Wharf 50m to Gym, Pub and Shopping Centre 30m to Franklin Square Ideal location, with everything close by! WHO IS OFFICE HUB? Office Hub is Australia & New Zealands No 1 small office space commercial real estate agency. We have the largest collection of shared spaces, coworking and serviced offices in Australia & New Zealand, perfect for 1 200 employees. Let us take you on a tour of all the spaces that fit your needs and budget. Our service is complimentary and we work for you and the landlord to negotiate the most competitive deal in the market. Let us show you how shared and serviced offices can be the perfect solution for your business. www.office hub.com.au www.office hub.co.nz Conditions apply A portion of the square meterage factors in access to shared space. Price includes any incentives offered. This is for new tenants only. Central Location | Fully Furnished | Dedicated Receptionist $273pw | 2 Person Workspa..
PROPERTY OVERVIEW $273pw Price incl. Boutique serviced office in amazing Hobart CBD location. Price incl. Electricity, Internet, Telephone & Building outgoings Flexi Terms Modern Fit Out Regular Cleaning 24/7 Access Dedicated Receptionist High Rise Building with great views Avail NOW for short or long term rent. Located in Macquarie Street in the heart of Hobart's CBD, these private offices provide everything a small business needs to run smoothly and thrive. Only a short walk from Elizabeth Street Mall, The Tasmanian Museum and Art Gallery, and the Royal Hobart Hospital, this high rise building provides easy access to multiple cafes, restaurants, bars, hotels and gyms. The advertised work space is perfect for a team of 2. If you need more or less space we have furnished and unfurnished offices ready to go from 10sqm 200sqm all over Australia and New Zealand. What you get for your weekly rent Furnished office with desks, chairs and filing storage Electricity usage included Commercial grade internet Regular cleaning Fair use of meeting rooms and boardrooms Access to shared kitchen facilities IT support available Complimentary receptionist to meet and greet your clients Telephone line and personalised phone answering Prestigious business address to put on your cards 24 x 7 access to your office 24 x 7 security Office features 24 x 7 air conditioning in all offices New refurbished building fit out Immaculate fit out and facilities Company signage in the lobby Photocopying facilities available Full mail management and postage 150m to Hobart's waterfront 200m to Elizabeth Street Mall 300m to bus stops 2 minute walk to Tasmanian Museum and Art Gallery WHO IS OFFICE HUB? Office Hub has largest collection of shared office space, sublet office space, creative coworking office space and serviced offices, perfect for 1 200 employees. Let us take you on a tour of all the spaces that fit your needs and budget. Our service is complimentary and we work for you and the landlord to negotiate the most competitive deal in the market. Let us show you how shared and serviced offices can be the perfect solution for your business. www.office hub.com.au www.office hub.co.nz Conditions apply A portion of the square meterage factors in access to shared space. The advertised price includes any incentives offered based on a 12 month agreement. If a shorter period is agreed to please note the price may increase accordingly. This promotional offer for new tenants only and may be withdrawn at any time due to space availability. Fabulous Views | Fully Furnished | Dedicated Receptionist $1029pw | 4 Person Worksp..
PROPERTY OVERVIEW $1029pw Price incl. A Grade serviced office in prime Hobart location: Price includes: Internet, Telephone, Electricity, kitchen Flexi terms "A" grade building Immaculate fit out Prestigious address Regular Cleaning 24/7 access Central Hobart CBD location Avail NOW for long or short term rent. The heritage listed Reserve Bank Building is a premier office tower nestled in the heart of Hobart's Central Business District. Featuring Iconic bronze statues of seals and penguins at the front entrance, the building is just minutes to public transport and entertainment. There are high speed lifts on site and fabulous views across to Salamanca bay. The advertised work space is perfect for a team of 4. If you need more or less space we have furnished and unfurnished offices ready to go from 10sqm 200sqm all over Australia and New Zealand. What you get for your weekly rent Furnished office with desks, chairs and lock up storage units Commercial grade internet service Telephone line and personalised phone answering Use of kitchen facilities with premium coffee/tea service Electricity usage included Complimentary receptionist to meet and greet your clients Prestigious business address Flexible terms from 1 month to long term Ability to bring your existing phone number over Business lounge with complimentary break out areas 24 x 7 Access to your office 24 x 7 security Office features Immaculate fit out and facilities Full mail management and postage Large boardroom and meeting rooms Signage board in foyer to highlight your business name Professional environment Server / Comms rooms available for server storage Building features Modern high rise classified as an "A" grade building 24 x 7 access to your office High speed lifts Car parking in building and surrounding areas Dedicated on site management team The advertised price includes building outgoings and is based on one person occupying the workspace. If you have 2 or more people extra fees will apply to cover off services like telephone, internet and kitchen amenities. 100m to Macquarie Street Bus Stop 200m to Franklin Wharf 50m to Gym, Pub and Shopping Centre 30m to Franklin Square Ideal location, with everything close by! WHO IS OFFICE HUB? Office Hub has largest collection of shared office space, sublet office space, creative coworking office space and serviced offices, perfect for 1 200 employees. Let us take you on a tour of all the spaces that fit your needs and budget. Our service is complimentary and we work for you and the landlord to negotiate the most competitive deal in the market. Let us show you how shared and serviced offices can be the perfect solution for your business. www.office hub.com.au www.office hub.co.nz Conditions apply A portion of the square meterage factors in access to shared space. The advertised price includes any incentives offered based on a 12 month agreement. If a shorter period is agreed to please note the price may increase accordingly. This promotional offer for new tenants only and may be withdrawn at any time due to space availability. Modern 4-person Workspace In The Reserve Bank Building All-inclusive $735 weekly.. 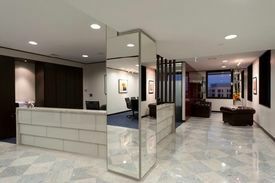 Enjoy a fully furnished private office located in Hobart’s best address. Designed to be "plug and play", this space is fully furnished with all IT and communications infrastructure provided. The Reserve Bank Building is a heritage A grade building nestled in the heart of Hobart's Central Business District. Tenants enjoy sweeping views of the Hobart skyline and beyond, taking in Franklin Square, Mount Wellington, and the stunning waterfront. 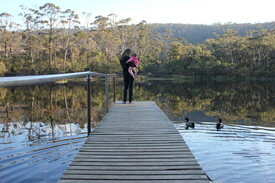 Many of Hobart’s landmark attractions are just a stroll away. What your weekly rent includes : • Fully furnished office with 24/7 access • Local phone number assigned with a dedicated receptionist to answer your calls • Impressive address on your website and collateral • High speed and secure Internet with 99.99% uptime • Connect with 40,000+ like minded business professionals • Community events to build your local network • Access to coworking and breakout areas • Modern kitchen facilities with complimentary coffee and tea • Pay as you go services including print facilities, administration and in house IT support. • Meeting room and boardroom access with member rates • Access to Servcorp's 160+ locations including 5 days free office usage outside your home state. Please contact us to arrange a tour today! Note Photos are representative of the workspaces you immediately get access to as part of your Servcorp membership. Outgoings are not included in the weekly price. Sweeping Views Of The Hobart Skyline From Your 2-person Office All-inclusive $468 weekly..
Abundance Of Natural Light | Central Location | Excellent Amenities $410pw | 4 Person Workspa..
PROPERTY OVERVIEW $410pw Price incl. Boutique serviced office in amazing Hobart CBD location. Price incl. Electricity, Internet, Telephone & Building outgoings Flexi Terms Modern Fit Out Regular Cleaning 24/7 Access Dedicated Receptionist High Rise Building with great views Avail NOW for short or long term rent. Located in Macquarie Street in the heart of Hobart's CBD, these private offices provide everything a small business needs to run smoothly and thrive. Only a short walk from Elizabeth Street Mall, The Tasmanian Museum and Art Gallery, and the Royal Hobart Hospital, this high rise building provides easy access to multiple cafes, restaurants, bars, hotels and gyms. The advertised work space is perfect for a team of 4. If you need more or less space we have furnished and unfurnished offices ready to go from 10sqm 200sqm all over Australia and New Zealand. What you get for your weekly rent Furnished office with desks, chairs and filing storage Electricity usage included Commercial grade internet Regular cleaning Fair use of meeting rooms and boardrooms Access to shared kitchen facilities IT support available Complimentary receptionist to meet and greet your clients Telephone line and personalised phone answering Prestigious business address to put on your cards 24 x 7 access to your office 24 x 7 security Office features 24 x 7 air conditioning in all offices New refurbished building fit out Immaculate fit out and facilities Company signage in the lobby Photocopying facilities available Full mail management and postage 150m to Hobart's waterfront 200m to Elizabeth Street Mall 300m to bus stops 2 minute walk to Tasmanian Museum and Art Gallery WHO IS OFFICE HUB? Office Hub is Australia & New Zealands No 1 small office space commercial real estate agency. We have the largest collection of shared spaces, coworking and serviced offices in Australia & New Zealand, perfect for 1 200 employees. Let us take you on a tour of all the spaces that fit your needs and budget. Our service is complimentary and we work for you and the landlord to negotiate the most competitive deal in the market. Let us show you how shared and serviced offices can be the perfect solution for your business. www.office hub.com.au www.office hub.co.nz Conditions apply A portion of the square meterage factors in access to shared space. Price includes any incentives offered. This is for new tenants only. Fabulous Views | Fully Furnished | Dedicated Receptionist $437pw | 2 Person Workspa..
PROPERTY OVERVIEW $437pw Price incl. A Grade serviced office in prime Hobart location: Price includes: Internet, Telephone, Electricity, kitchen Flexi terms "A" grade building Immaculate fit out Prestigious address Regular Cleaning 24/7 access Central Hobart CBD location Avail NOW for long or short term rent. The heritage listed Reserve Bank Building is a premier office tower nestled in the heart of Hobart's Central Business District. Featuring Iconic bronze statues of seals and penguins at the front entrance, the building is just minutes to public transport and entertainment. There are high speed lifts on site and fabulous views across to Salamanca bay. The advertised office space is perfect for a team of 2. If you need more or less space, we have over 30,000 furnished workspaces all over the world suitable for a team of 1 to 200+. Our award winning team offer a free service that will help you find the perfect solution for your needs, so reach out if you need more help. What you get for your weekly rent Furnished office with desks, chairs and lock up storage units Commercial grade internet service Telephone line and personalised phone answering Use of kitchen facilities with premium coffee/tea service Electricity usage included Complimentary receptionist to meet and greet your clients Prestigious business address Flexible terms from 1 month to long term Ability to bring your existing phone number over Business lounge with complimentary break out areas 24 x 7 Access to your office 24 x 7 security Office features Immaculate fit out and facilities Full mail management and postage Large boardroom and meeting rooms Signage board in foyer to highlight your business name Professional environment Server / Comms rooms available for server storage Building features Modern high rise classified as an "A" grade building 24 x 7 access to your office High speed lifts Car parking in building and surrounding areas Dedicated on site management team The advertised price includes building outgoings and is based on one person occupying the workspace. If you have 2 or more people extra fees will apply to cover off services like telephone, internet and kitchen amenities. 100m to Macquarie Street Bus Stop 200m to Franklin Wharf 50m to Gym, Pub and Shopping Centre 30m to Franklin Square Ideal location, with everything close by! WHO IS OFFICE HUB? Office Hub is Australia & New Zealands No 1 small office space commercial real estate agency. We have the largest collection of shared spaces, coworking and serviced offices in Australia & New Zealand, perfect for 1 200 employees. Let us take you on a tour of all the spaces that fit your needs and budget. Our service is complimentary and we work for you and the landlord to negotiate the most competitive deal in the market. Let us show you how shared and serviced offices can be the perfect solution for your business. www.office hub.com.au www.office hub.co.nz Conditions apply A portion of the square meterage factors in access to shared space. Price includes any incentives offered. This is for new tenants only. 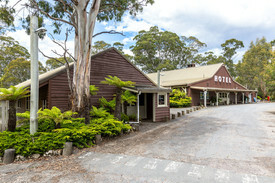 Ideal Location | Great Amenities | Reception Services $284pw | 1 Person Workspa..
PROPERTY OVERVIEW $284pw Price incl. This serviced office houses corporate clients from start ups and sole traders to large corporates in an environment of natural light, modern fit out and dedicated business support. Enjoy inclusions of electricity, internet, phone & building outgoings on flexi terms to reduce costs and get the flexibility to grow and expand through this centre and 150 sister locations worldwide. Great views & receptionists – available NOW for short or long term. Macquarie Street runs through the heart of Hobart CBD and this serviced office allows excellent proximity to major attractions and amenities such as Elizabeth Street Mall, the Tasmanian Museum and Art Gallery and the Royal Hobart Hospital. This good quality B grade high rise is close to many cafes, restaurants, bars, hotels and gyms – so many great reasons to stick the out of office on and get out to explore the city! The advertised office space is perfect for a team of 1. If you need more or less space, we have over 30,000 furnished workspaces all over the world suitable for a team of 1 to 200+. Our award winning team offer a free service that will help you find the perfect solution for your needs, so reach out if you need more help. What you get for your weekly rent Furnished office with desks, chairs and filing storage Electricity usage included Commercial grade internet Regular cleaning Fair use of meeting rooms and boardrooms Access to shared kitchen facilities IT support available Complimentary receptionist to meet and greet your clients Telephone line and personalised phone answering Prestigious business address to put on your cards 24 x 7 access to your office 24 x 7 security Office features 24 x 7 air conditioning in all offices New refurbished building fit out Immaculate fit out and facilities Company signage in the lobby Photocopying facilities available Full mail management and postage 150m to Hobart's waterfront 200m to Elizabeth Street Mall 300m to bus stops 2 minute walk to Tasmanian Museum and Art Gallery WHO IS OFFICE HUB? Office Hub is Australia & New Zealands No 1 small office space commercial real estate agency. We have the largest collection of shared spaces, coworking and serviced offices in Australia & New Zealand, perfect for 1 200 employees. Let us take you on a tour of all the spaces that fit your needs and budget. Our service is complimentary and we work for you and the landlord to negotiate the most competitive deal in the market. Let us show you how shared and serviced offices can be the perfect solution for your business. www.office hub.com.au www.office hub.co.nz Conditions apply A portion of the square meterage factors in access to shared space. Price includes any incentives offered. This is for new tenants only. A Grade Building | Enjoyable Working Environment | Dedicated Receptionist $474pw | 3 Person Workspa..
PROPERTY OVERVIEW $474pw Price incl. A Grade serviced office in prime Hobart location: Price includes: Internet, Telephone, Electricity, kitchen Flexi terms "A" grade building Immaculate fit out Prestigious address Regular Cleaning 24/7 access Central Hobart CBD location Avail NOW for long or short term rent. The heritage listed Reserve Bank Building is a premier office tower nestled in the heart of Hobart's Central Business District. Featuring Iconic bronze statues of seals and penguins at the front entrance, the building is just minutes to public transport and entertainment. 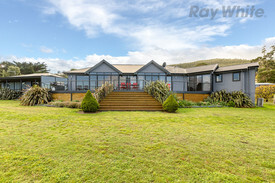 There are high speed lifts on site and fabulous views across to Salamanca bay. The advertised office space is perfect for a team of 3. If you need more or less space, we have over 30,000 furnished workspaces all over the world suitable for a team of 1 to 200+. Our award winning team offer a free service that will help you find the perfect solution for your needs, so reach out if you need more help. What you get for your weekly rent Furnished office with desks, chairs and lock up storage units Commercial grade internet service Telephone line and personalised phone answering Use of kitchen facilities with premium coffee/tea service Electricity usage included Complimentary receptionist to meet and greet your clients Prestigious business address Flexible terms from 1 month to long term Ability to bring your existing phone number over Business lounge with complimentary break out areas 24 x 7 Access to your office 24 x 7 security Office features Immaculate fit out and facilities Full mail management and postage Large boardroom and meeting rooms Signage board in foyer to highlight your business name Professional environment Server / Comms rooms available for server storage Building features Modern high rise classified as an "A" grade building 24 x 7 access to your office High speed lifts Car parking in building and surrounding areas Dedicated on site management team The advertised price includes building outgoings and is based on one person occupying the workspace. If you have 2 or more people extra fees will apply to cover off services like telephone, internet and kitchen amenities. 100m to Macquarie Street Bus Stop 200m to Franklin Wharf 50m to Gym, Pub and Shopping Centre 30m to Franklin Square Ideal location, with everything close by! WHO IS OFFICE HUB? Office Hub is Australia & New Zealand\'s No 1 small office space commercial real estate agency. We have the largest collection of shared spaces, coworking and serviced offices in Australia & New Zealand, perfect for 1 100 employees. Let us take you on a tour of all the spaces that fit your needs and budget. Our service is complimentary and we work for you and the landlord to negotiate the most competitive deal in the market. Let us show you how shared and serviced offices can be the perfect solution for your business. www.office hub.com.au www.office hub.co.nz Conditions apply A portion of the square meterage factors in access to shared space. Price includes any incentives offered. This is for new tenants only.